You can display pricing in a different currency by selecting from the list below. The Sonos Amp & Sonance C6R SST Stereo Ceiling Speaker is the ideal package for smaller rooms to start your multiroom audio endeavours. Sonos have gone back to basics and as a result have produced a brand new, even more powerful amplifier to deliver incredible sound; introducing, Sonos Amp. The Sonos Amp & Sonance C6R SST 6.5" Stereo Ceiling Speaker Bundle comes with everything you require to wirelessly fill your full room, or home with audio; Sonos Amp, one single Sonance C6R SST 6.5" Stereo Ceiling Speaker and speaker cable to install. Sonos Amp has been a long time in the making since its predecessor, the original Connect:Amp, was released. Packed full of functions, it is certain to improve how homes can access and enjoy their audio. Get HiFi sound with even the most demanding speakers - perfect to connect. 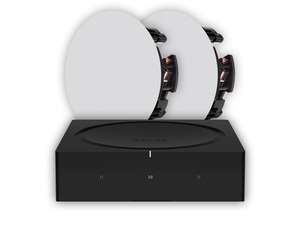 This Sonos Amp Ceiling Speaker Bundle also enables you to stream directly from mobile devices, whether it is stored music or via your favoured music streaming services such as Apple Music, Spotify, Google Play, Amazon Music, Last.fm, Deezer and many more. Control your audio with ease through your WiFi devices or connect other devices to your Sonos Amp through an analogue audio input that also allows you to connect your TV, DVD, HiFi, MP3 players etc. When the Sonos Amp is brought together with this Sonance C6R SST 6.5" Stereo Ceiling Speaker, you have the beginnings to create a true Multiroom Sound System. 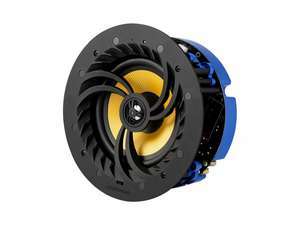 You can connect outdoor speakers too to go even further with your home sound system into garden and patio areas. Please take note that one Sonos Amp is required for each room/zone, so for a true multi-room set-up in additional rooms/zones, just select the correct quantity needed at checkout. These superb 6.5" stereo speakers, give optimum sound over a wide listening area (perfect for large rooms), and with a modern finish thanks to their magnetic discreet grille, it maintains a minimalist look in your space. 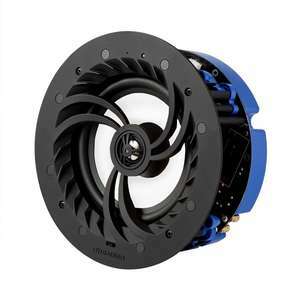 At 6.5", the Sonance C6R SST speaker fills and is perfect for smaller rooms, or long narrow rooms such as hallways and landings. However, adding a second single stereo speaker is possible if required. 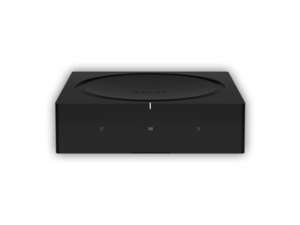 Sonos makes ease of use a top priority in their design to guarantee nothing comes between you and your music streaming. Line-In Sources Supported: Audio device with analogue RCA output or optical output (optical adaptor required). TV device with HDMI ARC or optical output (optical adaptor required). Speaker output connections: Banana plugs (2) capable of stereo or dual mono sound. Adjustable bass and treble controls to optimise sound performance. Adjust volume by individual room or by groups of rooms. WiFi: Connects to your home Wi-Fi network with any 802.11 b/g/n router. 802.11n only network configurations are not supported—you can either change the router settings to 802.11 b/g/n or connect a Sonos product to your router. Ethernet ports: Dual Ethernet ports can connect Amp to a wired home network and allow for connection of additional Sonos players. System requirements: Passive speakers with speaker wire, broadband Internet, and Sonos app. Controls: Touch interface with volume up/down, previous/next track and play/pause. Fire Safety: Do I Need To Buy Speaker Hoods?